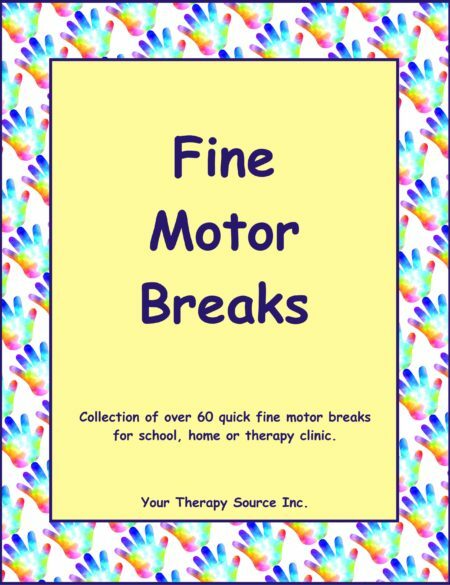 Create 3 different fine motor, coordination and graded movement activities using pipe cleaners, straws and buttons. 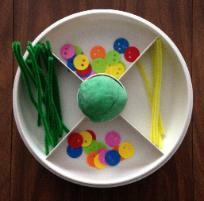 Set Up: Put a ball of play dough in the middle with colorful buttons and pipe cleaners. 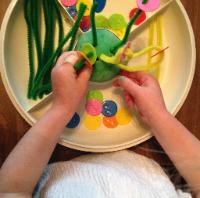 Activity: The child laces the buttons on the end of the pipe cleaner to create the flowers. 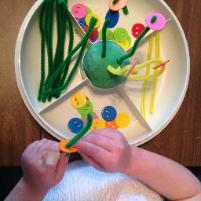 Put the “stem” of the flower into the play dough to arrange the flower. Set Up: Accordion fold some cardboard. 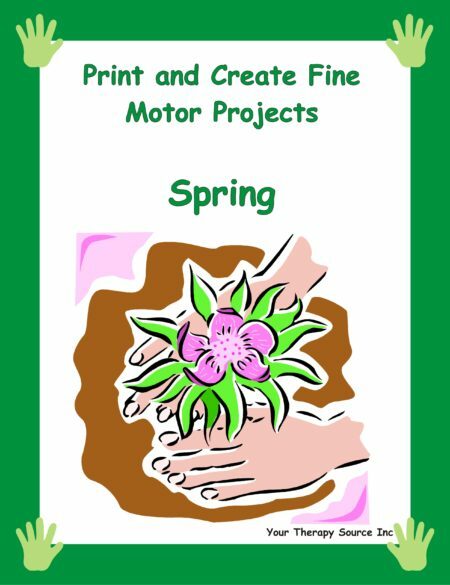 Ask the child to paint it green. Let it dry. 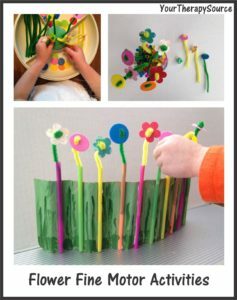 Glue on plastic straws on each fold to create the garden. Set Up: Put a bunch of straws inside the container to create the vase. 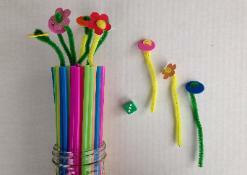 Lace the buttons or flower cut outs onto the pipe cleaners. 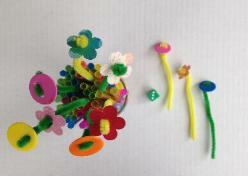 Divide up the pipe cleaner flowers that each players has at least 12. 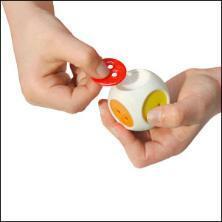 How to Play the Game: The object of the game is to be the first player to put all of the “flowers” into the vase. Player #1 rolls the die. 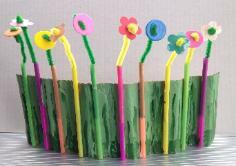 If you roll a 1-5 put in that number of flowers (one into each straw). 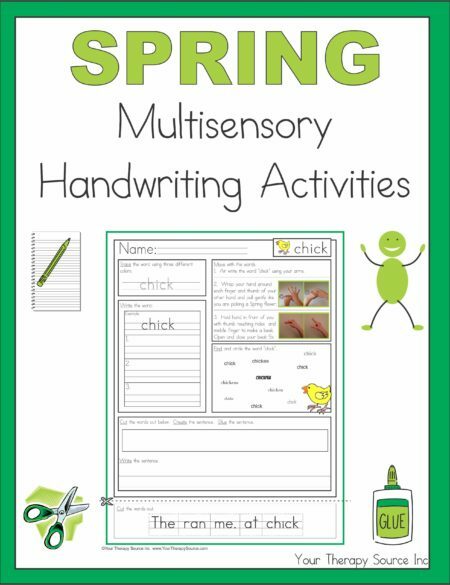 If you roll a 6 your have to remove 3 flowers and take them back to your flower pile. Player #2 takes a turn repeating above. Whoever places all of their flowers into the vase first is the winner!